Mesothelioma is widely regarded as a male disease since exposure to asbestos, the only known cause of mesothelioma, is associated with employment in male-dominated industries in the 20th century. Statistics show that mesothelioma affects men three to four times more than women. 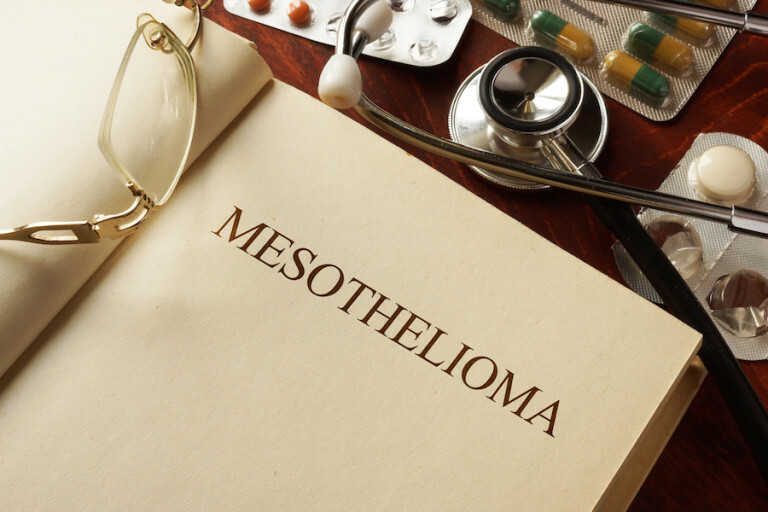 Men who later develop mesothelioma typically worked in places where contact with products containing asbestos has been well documented- this includes shipyards, automotive repair, and construction sites. But exposure through employment is not the only way to come into contact with asbestos. In fact, many women are diagnosed with mesothelioma every year. For many women, this diagnosis is startling given that they have never worked in industries where contact with asbestos was commonplace. But, in fact, women who have had a history of contact with asbestos through second-hand means or the use of consumer products are at risk for developing mesothelioma. Many women who have been diagnosed with mesothelioma have been the victims of “secondary exposure.” The National Institute for Occupational Safety and Health and the Centers for Disease Control and Prevention (CDC) have found that the majority of asbestos exposure among workers’ family members resulted from performing household activities involving clothing that contained asbestos particles. While women historically did not work outside the home in blue-collar jobs, they typically took on the task of laundering their husband’s clothing. This means that when women dusted off their husband’s clothing after a day of work, the dust particles flew into the air and could be inhaled by anyone in the vicinity. Cleaning up the dust would also project particles in the air creating an environment filled with asbestos-laden dust. Over many years, the dust exposure from clothing containing asbestos remnants can lead to the development of mesothelioma. There have even been numerous documented cases of younger women diagnosed with mesothelioma who are suspected of developing the disease from inhaling asbestos fibers on their father’s contaminated clothing during childhood. Companies that worked with materials that contained asbestos, and the manufacturers of those asbestos-containing products, failed to adequately warn their workers of the dangers of exposure to the materials. Similarly, they never cautioned workers about exposure to their family members who were coming into contact with asbestos through laundering clothing, which could lead to the development of a rare and serious cancer. Many of these companies were aware of the dangers associated with asbestos, but failed to even advise workers and their families to take preventive steps to minimize exposure. If you never came into contact with contaminated clothing, or relatives in your household did not work in industries where asbestos exposure was common, you might assume that you were never exposed to asbestos. Unfortunately, this may not be the case. Surprisingly, consumer products that are readily available have been found to contain asbestos. Talcum powder is the leading product associated with asbestos exposure among consumers. Talc is mined from the earth and is found in areas where asbestos is also detected. Talc and asbestos are known to develop so closely in nature that talc is commonly contaminated with asbestos. Because talc is inherently a dusty substance, users of facial and body talc are able to easily inhale the airborne dust. Regular use of talc powders increases the incidence of inhalation because of the way that the powder scatters into the air. Frequent users of talc, such as women, were therefore commonly exposed to asbestos and have an increased risk of developing mesothelioma. Although cosmetic companies long ignored the research demonstrating the connection between asbestos and talc, by 1972, the FDA identified 59 cosmetic products that likely had asbestos contamination. These include manufacturers such as Pond’s, Avon Unforgettable, Jean Nate, Johnson & Johnson Shower to Shower, Coty Face Powder and many others. Additional studies confirmed the presence of asbestos in baby powder products. A 1976 study at Mount Sinai discovered asbestos in ten different manufacturers’ brands of talc products, including Cashmere Bouquet. Another study published in 2014 found asbestos in cosmetic talc and showed that the use of cosmetic talc products releases significant level of asbestos into the air. This study concluded that the development of mesothelioma is directly related to the use of talc powder containing asbestos. There have been findings of asbestos in talc products manufactured in past decades as well as those made and sold more recently. Exposure to asbestos through consumer products has been reduced but still exists. In fact, testing recently revealed the presence of asbestos in a child make-up kit, which resulted in the manufacturer recalling the product. Other testing of off-the-shelf talcum powder products still being sold have been found to contain asbestos. Also, the CDC has reported that although mesothelioma rates are declining, the incidence of the disease in certain groups, including women, remains steady. The use of asbestos contaminated consumer talcum products is certainly one reason why mesothelioma in women is not declining. Many people would be shocked to know that many powder products are still made from talc that is contains asbestos. Similarly, companies that manufacture products for consumer use have exposed women to asbestos through cosmetic talc and failed to adequately warn consumers of the dangers associated with their products. Unlike other forms of cancer, the development of mesothelioma is largely a preventable disease when affected individuals are given proper warnings and precautionary advice. Unfortunately, this was not the case for many women who may have developed the disease through performing simple household chores and purchasing consumer products they presumed to be safe. MesoLawyersCare has successfully represented a large number of women who have developed mesothelioma. These verdicts and settlements include cases involving who developed mesothelioma from exposure to asbestos from their husbands’ work clothing, as well as cases involving women exposed to asbestos from the use of cosmetic talc products, such as body powders. For a free consultation, contact us now by calling 1-888-568-1177, live chatting with one of our representatives, or filling out the short form on this website.